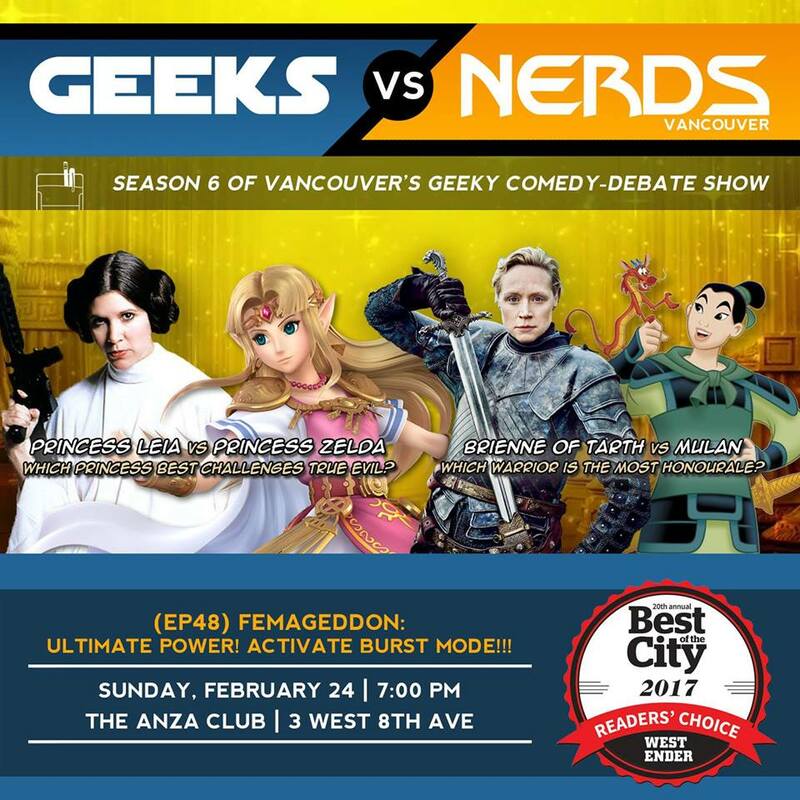 Welcome to Geeks versus Nerds! Who is the bigger badass, Batman or Boba Fett? Who is the smarter master of mysteries, Sherlock Holmes or Doctor Who? Who is the greater threat to temporal stability, Marty McFly or Philip J. Fry? 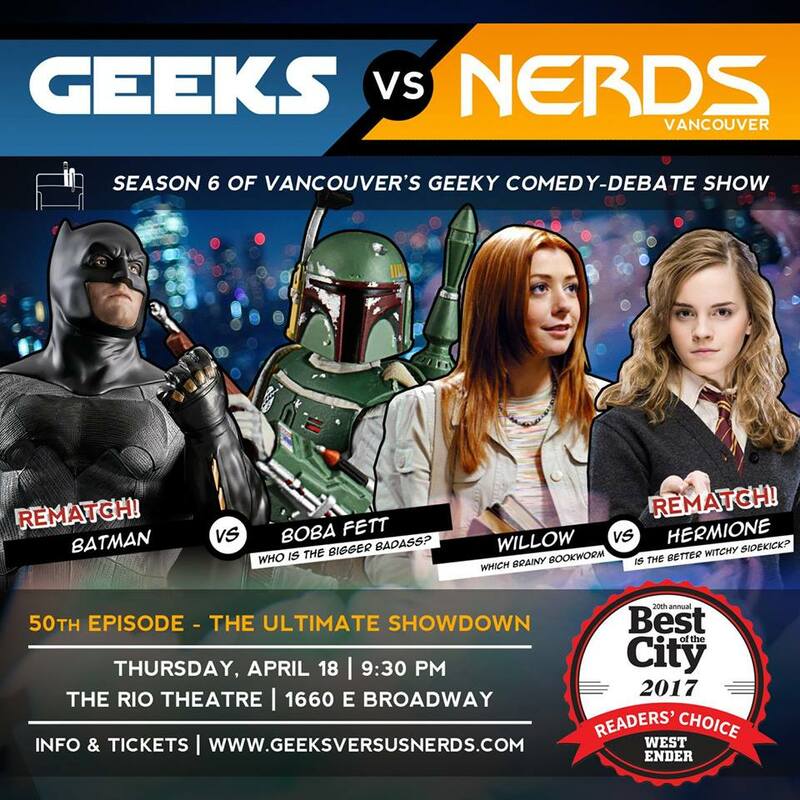 Geeks versus Nerds Halifax (GvNH) holds eight placements on The Coast's Best Of Awards list, including gold and silver showings for Best Comedy Night and Best Podcast four years running. When you couple those awards with the die-hard audience, it's easy to see why the devoted cast and crew of GvNH love what they do. 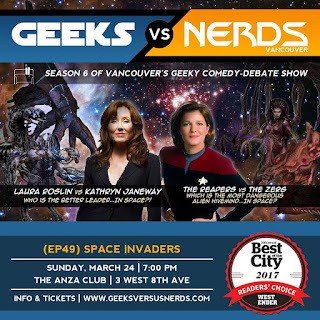 While its roots are in the likes of Captain Kirk and Iron Man the show’s broad appeal lies in its pop culture references, audience participation, and a wide range of passionate cast members. 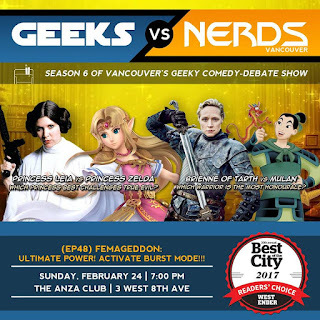 The show's West Coast counterpart, Geeks versus Nerds Vancouver (GvNV), has been dedicated to celebrating local geek, gamer, and comic book nerd subcultures in Vancouver, British Columbia for over six years now. In addition to appearances at cons such as Emerald City Comicon, Northwest Fan Fest, and Anime Revolution, GvNV has also held a Westender Best of the City Award "Best Podcast" Award for two years running. Ep. 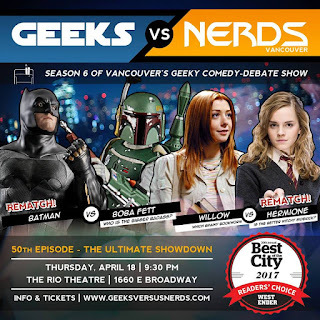 50 THE ULTIMATE SHOWDOWN at the Rio!!! Ep. 49 - Space Invaders! Ep 48 - FEMAGEEDON: ULTIMATE POWER! ACTIVATE BURST MODE!